In the darkness of the theatre, I gripped the hard plastic armrests of my seat. The Millennium Falcon had just trashed a pod of the Empire’s TIE fighters, and was swooping into the atmosphere of the jungle-moon, Yavin 4; home base to the Rebel Alliance. Han Solo and Chewbacca had braved the firefight to whisk R2-D2 and his precious cargo – blueprints of the Galactic Empire’s super weapon, the Death Star – to Princess Leia for the rebels’ final stand against the Emperor and Lord Vader. A brief scene in the 1977 film, Star Wars Episode IV: A New Hope, I didn’t give much thought to the breathtaking jungle landscape with ancient stone temples thrusting up through the canopy. After all, I was 8 years old, and more fascinated by the epic battle that followed. You know the story: against all odds, a small band of rebel fighters go head to head with the colossal space station inching its way towards the Rebel base to obliterate it with a burst of the Death Star’s super laser. Of course, the rebels win (with a well-placed, Force-driven proton torpedo shot taken by Luke Skywalker) – but with an added bonus: in their self preservation was the conservation of intergalactic biodiversity. Just as Princess Leia’s home world, Alderaan, was blown up in a deadly demo of the Death Star by Darth Vader ... so Yavin 4’s forests – and the animal and plant species living there – would have been blown to smithereens had the Empire succeeded in taking out the rebel base. Which species, you ask? Well, the creative minds behind Star Wars wrote biodiversity into the backstory. The movie script took us inside the rebels’ tactical centre to General Dodonna’s pre-battle briefing to grim-faced fighter pilots. But outside in the jungle, the writers created a rich ecosystem centred on the fictional Massassi tree, which – according to Wookieepedia (yes, it's a thing! )– came complete with canopy-dwelling ape-like woolamanders, and stintarils; rodents that traveled the treetops in packs, raiding the nests of roosting whisper birds. On the ground, thick mulch from fallen Massassi tree bark and leaves nourished blueleaf shrubs, and was home to foraging runyips and piranha beetles. While underground, Leviathan grubs fed on the tree roots for 300 years before surfacing as one of the largest predators in the moon's forests. Many years later I was pleasantly surprised – thrilled, actually – to find Yavin 4 was a real place. No, not a forested moon “in a galaxy far, far away”. But the ancient Maya city and UNESCO World Heritage Site, Tikal, in northern Guatemala, where the scene was filmed. Preserved for the incredible historical and cultural value of the ruins, the forests around Tikal are rich storehouses of biodiversity. 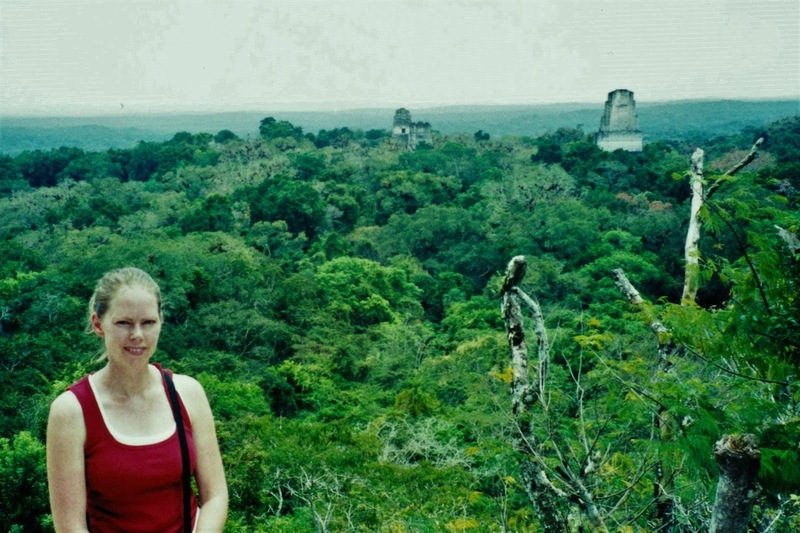 And – part of the Tikal National Park at 2.1 million-hectares – “The Forest is strong with this one”. In fact, it’s the greatest expanse of natural rainforest in the country. Still, with 70% of its original, natural vegetation lost, it’s considered a biodiversity hotspot, and Tikal’s biodiversity isn’t out of the woods as far as long term sustainability goes. Here in the real world, the sacred tree of the Maya – the gigantic kapok – dominates the forest in place of the Massassi tree on Yavin’s moon, together with 30 other hardwood species like tropical cedar and Honduras mahogany. As well, hundreds of orchid species grow in the jungle shade. (I’d name them, but I “don’t know the flowers of the Dark Side”). Over 285 types of animals live here, too. Like agoutis, white-nosed coatis, gray foxes, Geoffroy's spider monkeys, howler monkeys, harpy eagles, falcons, guans, toucans, green parrots and leafcutter ants. Even jaguars are seen on occasion. But it wasn’t always this way. Unlike Yavin 4’s plants and animals spared from the Death Star, Tikal’s biodiversity didn’t escape the Empire. Not the Galactic Empire this time, but the Maya Empire. You see, at its peak, Tikal was a thriving and prosperous metropolis – a veritable Mayan “Manhattan”. But in a period of extreme drought citizens abandoned the city in droves, and eventually their society crashed. Why? Well, according to archaeological evidence and environmental data summed up in a pair of 2012 scientific studies, a huge decline in rainfall paired with rapid deforestation for agriculture were the culprits. The Maya also used tons of fuelwood – on the order of 20 trees per square metre of cityscape – to boil up the lime plaster used in construction. Talk about a recipe for disaster: the removal of forest cover changed the local climate; reducing rates of evaporation and rainfall, making the drought worse. This increased soil erosion and depletion, which eventually lead to crop failure and mass exodus of the population to escape starvation. It’s as dramatic a change as if the lush planet and enlightened society of Naboo degraded into the desert planet Tatooine controlled by Klatooine paddy frog-eating, rancor-feeding, mafia overlord and slave-master, Jabba the Hutt! The collapse of the Mayan Empire wasn’t instant; it dragged out over a century. But, no matter; the devastation to the region’s climate, soils and biodiversity – and the people that lived there – was akin to a lethal zot from the Death Star. The score for epic battle No.2? The Maya Empire: 0 – Biodiversity: 0. Hey, when biodiversity loses, nobody wins. Guatemala’s El Quiché department is a few hundred kilometers from Tikal, as the whisper bird – or crow – flies, depending which planet you’re on. It’s a region characterized by severe chronic and acute malnutrition and food insecurity where most people live on a dollar a day - or less. And from 1979-1986 it was one of the areas hit hard by President Efrain Ríos Montt’s “scorched earth” strategy of forced displacement and genocide of the Ixil Indians. Using lessons learned from the Galactic Empire’s epic battle fail on Endor where forest cover gave Ewoks tactical advantage – like the ability to slam two-legged Imperial AT-ST Walkers between suspended, swinging tree trunks – Montt razed heavily-wooded areas along roadsides. Then he moved communities from forest villages to cleared urban areas with roads that could handle military vehicles – ones with wheels anyway. The extent of destruction to forests and vegetation from his “Vader-esque” ousting of rebels – or who he thought were rebels – could easily be seen from an orbiting Star Destroyer. Today – even though Montt’s “Empire” is long gone – the threat to El Quiché and much of Guatemala’s biodiversity remains. Less the in-your-face threat of a Death Star or scorched earth policy, it’s a more subtle Phantom Menace rooted in extreme poverty, malnutrition, low education and a lack of off-farm employment. Factors that contribute to land-clearing for subsistence farming – but only for a few years in one place – until low production and yields drive farmers to abandon overworked, parched patches for native forest stands. The result? Degradation and loss of ecosystem services, native species, and the health and livelihoods of the people that depend upon them, as water and resources become scarce, and the risk and severity of environmental disasters increase. And if there’s a lesson to be learned from Tikal, it’s that if biodiversity’s not in balance, neither is the society that depends upon it, and an epic crash is a-comin’. This essential balance between biodiversity and sustainable livelihoods is the focus of UN International Day of Biodiversity on May 22. This year’s theme, Mainstreaming Biodiversity points to biodiversity as the foundation for life, and not just a save-the-giant-pandas (or should that be banthas?) campaign (still a worthy cause, by the way). It’s about raising awareness of how human life and well-being is intertwined with nature, and integrating biodiversity into local development and poverty reduction strategies. Food for the Hungry Canada (FH) is doing just that in the mountain villages of the El Quiché region of Guatemala. Through programs that encourage keyhole gardens instead of land-clearing, crop diversification, and soil and water management through tree-planting, including use of native species, FH is helping communities understand the vital connection between a healthy environment, local biodiversity, nutritious food and clean water, and their own health and livelihoods. Little by little – with FH (you rebels!) – the battle for biodiversity is being won, bringing with it A New Hope for the hungry. Epic battle #3 for biodiversity is still being waged in Guatemala and, in fact, across the planet (ours this time). And, as the menace of climate change and environmental degradation – our Death Star – inches closer, there’s no R2 unit on its way with blueprints to save the day. 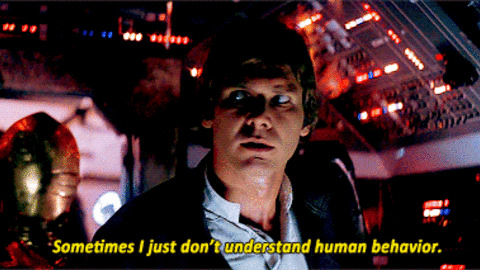 Still, the best advice for us as a society is perhaps the same counsel Jedi Master Obi-Won Kenobi gave Luke Skywalker as he approached the 2-metre-wide thermal exhaust port in his X-wing fighter – the target that took out the space station: “Use the Forest, Luke”. Let’s use ours in a sustainable way. It’s our only hope. 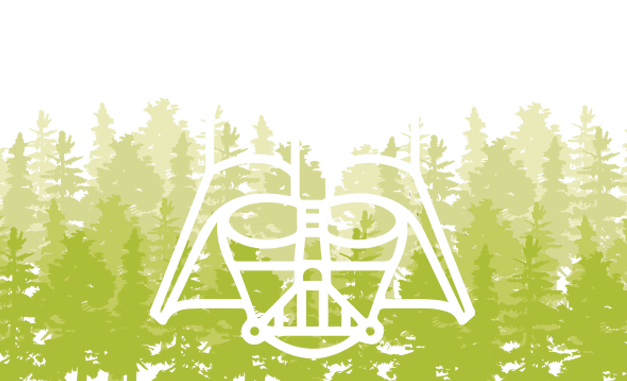 Wish someone Happy Star Wars Day by Planting a Tree and sending a gift card with the greeting, “May the Forest be with you”! IN STAR WARS: A NEW HOPE, PRINCESS LEIA PLEADS FOR HELP. WILL WE?